It all started with a vision. Karl Pfisterer wanted to improve electrical fittings. In the era of electrification, users frequently encountered problems with the metallic elements used to connect lines. And this is precisely where “Karl Pfisterer, Fabrik elektrotechnischer Spezialartikel” (Karl Pfisterer’s factory for special electro-technical articles), founded in the Untertürkheim district of Stuttgart in 1921, came in. The goal? To develop solutions and new products for the interfaces between energy networks. The approach? Independence, innovation, dependability, and quality. Over the years, these four main pillars have made PFISTERER what it is today – one of the world’s leading technical companies for system solutions and components for energy transmission. As one of the few companies of its type on the global market, PFISTERER offers solutions for the entire transmission chain for low, medium, high, and extra-high voltage. A key factor in the company’s success has been and still is its complete independence from third party interests. This makes sure that PFISTERER’s products and solutions are adapted exclusively to the requirements of its clients and the market. 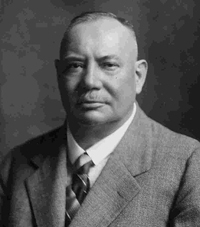 Walter Pfisterer, the son of Karl Pfisterer, joined the company as early as 1935. The third generation, his son Karl-Heinz Pfisterer, took over operations back in 1971. As it has always been the case, PFISTERER is still a family-owned company: Karl-Heinz Pfisterer and his niece Dorothee Staengel remain active members of the PFISTERER Holding AG Supervisory Board today. PFISTERER’s first products – conical cable lugs, overhead line clamped terminals, and wedge-shaped connectors – are still a successful part of the company’s portfolio. The company has grown to have one of the most extensive product ranges in the industry. While almost every public utility company in Central Europe is aware of PFISTERER’s low-voltage products, the company has managed to establish itself primarily as a system partner for major overhead line and underground cable projects all over the world. In parallel to this, PFISTERER has been enhancing contact technology on an ongoing basis and setting new standards for the insulation of high-voltage lines, particularly by using silicone as an insulating material. PFISTERER is a pioneer for the development of space-saving and environmentally-friendly cable accessories, transformers, and switching station connections for up to 550 kV using silicone as a basis. Furthermore, the company is developing new and ground-breaking applications in energy technology, such as the portable and intelligent CrossPower energy management system. The launch of the first foreign branch, SEFAG, in the Swiss town of Malters in 1957 made the company’s approach clear: We establish market proximity wherever the market is shaped – and that is wherever our clients are. From 1975 onwards, Walter Pfisterer began transforming the company into a global brand. PFISTERER now runs production sites in Europe, North- and South America and has sales branches in 18 countries in Europe, Asia, South America, and the USA. With the acquisition of LAPP Insulators, a leading manufacturer of high-voltage insulators with a global sales network, the PFISTERER Group once again strengthened its position on the global markets. 1921: The company is founded in Stuttgart by Karl Pfisterer. 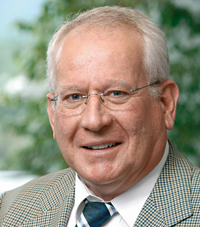 1935: Walter Pfisterer, Karl Pfisterer’s son, joins the company. 1944: The factory in Stuttgart-Untertürkheim is completely destroyed in an air attack on 9 December. 1957: PFISTERER establishes its first foreign branch with the company SEFAG in the Swiss town of Malters. 1962: With its new factory in Winterbach, PFISTERER starts using plastic technology on a large scale. The 1970s: PFISTERER starts to ramp up its activities abroad. 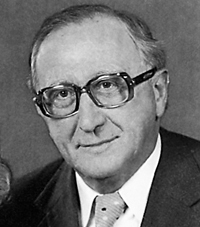 1971: Karl-Heinz Pfisterer, Walter Pfisterer’s son, joins the company. 1982: PFISTERER Holding AG, based in Winterbach, is founded. 1986: The company introduces a new structure. The main administrative headquarters are based in Untertürkheim, parts are manufactured in Gussenstadt, assembly takes place in Winterbach. 1992: The renovation of the Gussenstadt factory allows for more efficient production. 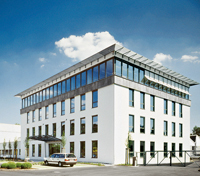 2001: PFISTERER relocates its headquarters to Winterbach, which is still home to the corporate group today. 2004: PFISTERER brings its areas of activity together into four international centers of expertise. Cable systems (Winterbach/Germany), components (Gussenstadt/Germany), overhead systems (Malters/Switzerland), and railway catenary systems (Barcelona/Spain). 2015: PFISTERER launches a comprehensive campaign for investment and growth. It adds a new production site in the Czech town of Kadaň. 2015: Acquisition of LAPP Insulators: PFISTERER takes top spot on the global market for high-voltage insulators.